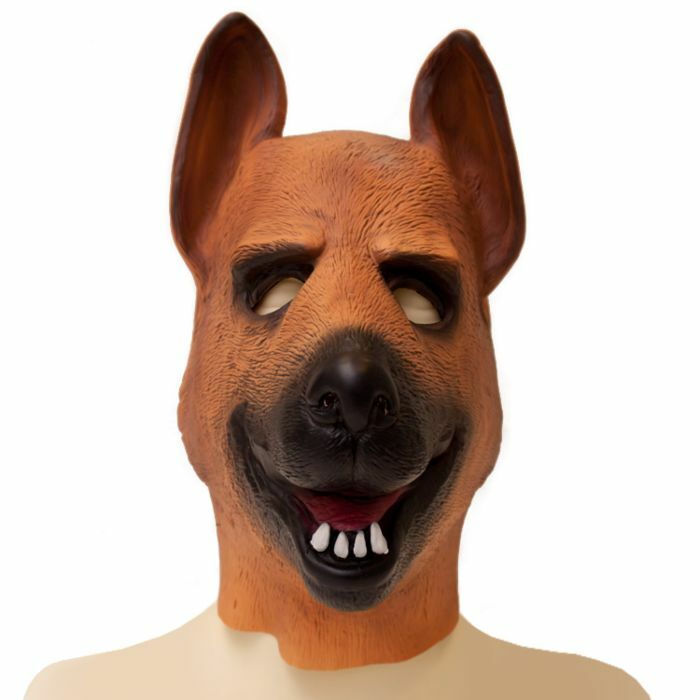 Every dog has its day and now you can too with this highly detailed German Shepherd Latex Dog Hood. This latex puppy play hood is made from rigid hard rubber latex in pure black with a red mouth or you can get the hand painted brown version for a more realistic appearance. This clever dog hood comes with a durable build and ample holes at the eyes and nostrils for ease of use while you’re in your puppy head space. The black version can be polished further with your favourite latex polish. To ensure that your identity is completely under wraps, this latex dog hood covers your entire head and neck so you can really get into your animal role play in one easy step. At the back, you’ll find a heavy-duty zip to allow you to quickly and easily put on and remove your mask. This mask is a one size fits all size so puppers of any size big or small can join in on the fun.